Hi, my name is Colin. I have played guitar now for 40 years and cello for 8. I love playing and teaching both instruments. I play guitar in a wedding and function band and cello in a guitar and cello duo. PVG Disclosed. 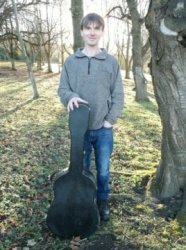 I have been teaching rock, pop,acoustic,bass, ukulele and classical guitar in Linlithgow and around the area since 1994. In that time I've taught hundreds of students of all ages and all abilities to play guitar and bass. 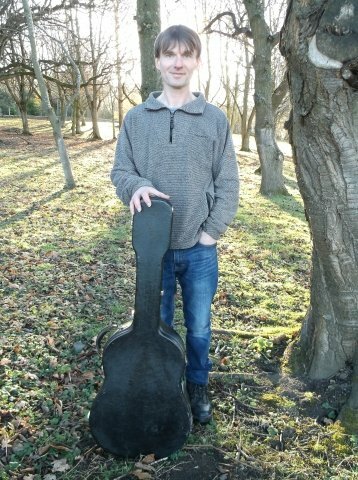 Although most of my students have learned to play guitar just for fun, I have guided many through school guitar exams or external guitar exams such as ABRSM or Rockshool. I also teach cello up to an intermediate level. I teach with the wishes and the aims of the pupil foremost in my mind. Using my experience and knowledge, I can guide people towards achieving what they want to on their instrument and help them play the music they want to play. The most important thing though, is for students to have fun whilst learning.